Photo (sans dollar signs) by Mark Taylor via Wikimedia Commons. The old “sticks and stones…” axiom couldn’t be more wrong. Because names—particularly labels—can do more than hurt you; they can destroy you. President Obama, for instance, never shook the “socialist” label plastered on him by opponents. And it’s unlikely that he ever will now that the label has stuck. 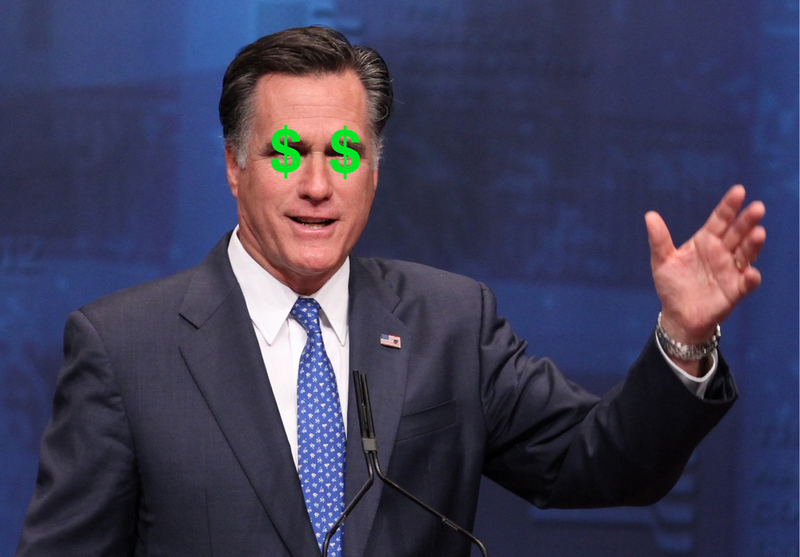 Mitt Romney has his own “label” problem—he’s a filthy-rich elitist who’s out of touch with the problems of the middle class. 1. The instinctive (and inept) way: Demonstrate how Romney really is connected to the middle class by telling homespun stories about humble roots and high-school dances. 2. The strategic (and shrewd) way: By connecting to a genuine middle-class issue that’s consistent with how Romney is already perceived. For Romney/Ryan, that issue has been “getting government out of the way of small business.” You can even buy a t-shirt. If I were advising Romney/Ryan—a unlikelihood given my Democratic allegiances—I’d tell them do a lot more of #2 and a lot less of #1. The GOP can’t possibly hope to position itself as the party of the middle class. But it can be the party of small business. And that just may be enough to tip this election.